MANCHESTER, Mich., September 16, 2013 – McCormick Distilling Co. Inc., a Weston, Mo. 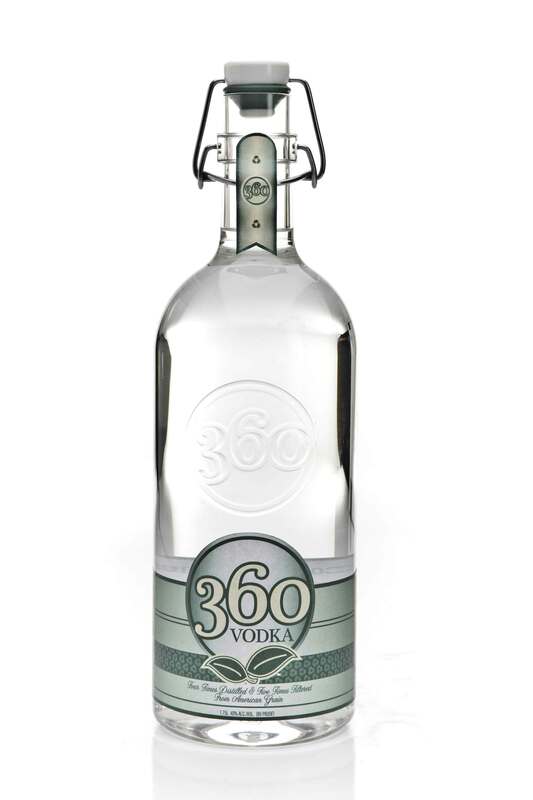 based manufacturer and distributor of premium spirits, has converted its Eco Friendly 360 Vodka 1.75L line from glass to lightweight polyethylene terephthalate (PET) bottles from Amcor Rigid Plastics, the world’s leading producer of rigid plastic packaging. The custom 1.75L container delivers unique styling and consumer handling and has the distinction of being the industry’s first PET bottle to support a swing top closure. The eye-catching bottle was designed to impart the look and feel of glass. At the same time, the lightweight PET container delivers sustainability advantages, reduced shipping and transportation costs, and a reduced carbon footprint, according to Vic Morrison, Vice President of Marketing for McCormick Distilling. The containers are 1/10th the weight of glass bottles, unbreakable, and recyclable. As part of its sustainability focus, McCormick also uses reusable closures and recycled paper printed with water-based eco-friendly inks. Since organic grain leaves a larger footprint, 360 Vodka uses local grain grown less than 95 miles from the country’s most energy efficient distillery where 360 Vodka is crafted. This gives the brand its distinctive, smooth taste that has been awarded with multiple platinum and gold medals for taste from international spirits competitions. The PET container is the first to feature a swing top closure. Adapting the unique closure to PET was a major design challenge for the bottle manufacturer, according to Myles Graybill, Amcor project engineer. Amcor’s Advanced Engineering team performed Finite Element Analysis (FEA) modelling to predict the container’s performance behaviour and adapted the metal-based closure to the 0.9-in (23 mm) finish diameter, thus creating a bottle that would be fully functional. “The neck design was critical as we undertook many iterations and hours of trial and error to adapt the existing closure to PET,” said Graybill. The design also incorporates a tamper-evident band strip. Amcor also reduced the bottle’s height from 14 3/8” to 13”, enabling the container to be better displayed on retail shelves. Previously, retailers either didn’t carry the product or were forced to place it on a top shelf or lay it down. McCormick uses PET containers in various sizes for a range of spirits products. 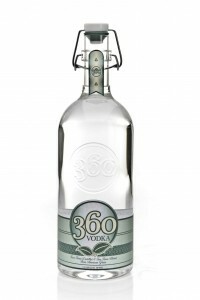 Eco Friendly 360 Vodka comes in a wide variety of flavors and is available in retail establishments throughout the U.S.
McCormick Distilling, located in historic Weston, Missouri, is the oldest continuously operating distillery in the U.S. McCormick is a leading spirits maker with an exciting new mix of innovative products, exceptional quality, and remarkable value. It’s an unrivaled combination – based on nearly 150 years of experience and an ongoing commitment to the future. For more information, visit www.mccormickdistilling.com. Amcor Rigid Plastics is among the world’s largest manufacturers of plastic packaging for the beverage, food, spirits, personal and home care, and pharmaceuticals industries with 61 facilities in 13 countries. Amcor Limited is a global leader in responsible packaging solutions, employing more than 35,000 people worldwide, operating in 43 countries across 300 sites. Amcor supplies a broad range of plastic (rigid and flexible), fibre, metal, and glass packaging solutions to enhance the products consumers use in everyday life. Amcor also provides packaging-related services that help customers succeed through collaboration and innovation driven by art and science. Amcor is headquartered in Melbourne, Australia, and is listed on the Australian Securities Exchange. For more information, visit www.amcor.com.